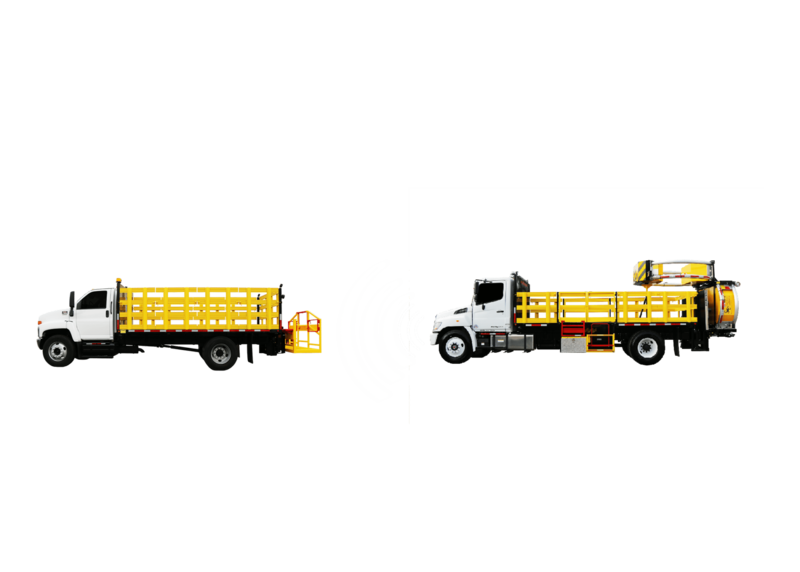 Royal Truck & Equipment Inc. is thrilled to announce a live demonstration of the autonomous impact protection vehicle (AIPV) being deployed in a live highway work zone in Fort Collins, Colorado. In preparation of this monumental event, we are providing you with autonomous-based content every day this week. To see what content you can expect each day of “Autonomous Week”, go to the Autonomous page of our website to learn more! For the first day of Autonomous Week, we are starting at the beginning by answering the most broad question: “What is the AIPV?” AIPV stands for Autonomous Impact Protection Vehicle and is the world’s first autonomous TMA truck. For those who do not know, its purpose is the same as a standard TMA truck: to protect highway work crews by serving as a barrier between the workers and oncoming traffic. However, with the AIPV we are taking work zone safety to the next level by removing the driver from a vehicle designed to be hit. The AIPV is outfitted with an electro-mechanical system and fully integrated sensor suite and operates via Leader/Follower technology. In simplistic terms, the lead vehicle drops “eCrumbs” while it is driving and the autonomous follower vehicle processes those commands instantaneously when it reaches the spot of the lead vehicle and reacts accordingly. This means that no additional infrastructure is needed to be built in order for the AIPV to operate. The follower vehicle does not blindly follow the leader, though. If something, such as a car or person, moves in front of this vehicle, it instantly stops, thus preventing a crash. 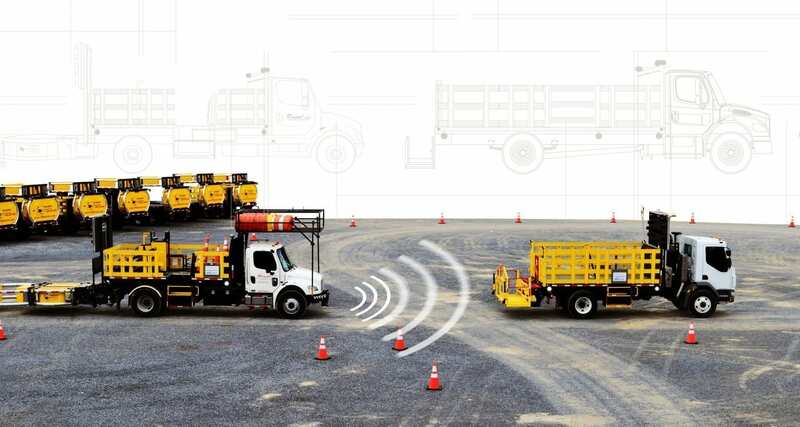 There will then be a worker in the lead vehicle, who sole job is to observe the follower vehicle, who can reset the truck once the object has moved. Want more information about the AIPV? Stay tuned throughout the week for new blogs each day in advance of Friday’s live on-road demonstration.